Pondering walls in the age of Trump is a fool’s quest. Foolish I am. 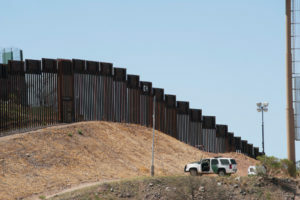 “I’m wondering: Would all those who are so against a wall/fence of some kind on our southern border be willing to take down any wall/fence they may have around their own personal residence so that anyone could wander in ‘at will’ and do ‘whatever’ on their property — and ask to be fed, clothed, housed, and medicated by that home owner? This represents one of many letters (and blogs, tweets, videos, etc.) comparing a nation’s border to a fence around a personal residence. Does that analogy work for you? As with most homes in my suburban neighborhood, I have a fence. In the twenty plus years I’ve lived on this property, I’ve repaired or replaced nearly every stretch of the fences shared with four different neighbors. While sturdy, and about six feet high, they do fall apart. 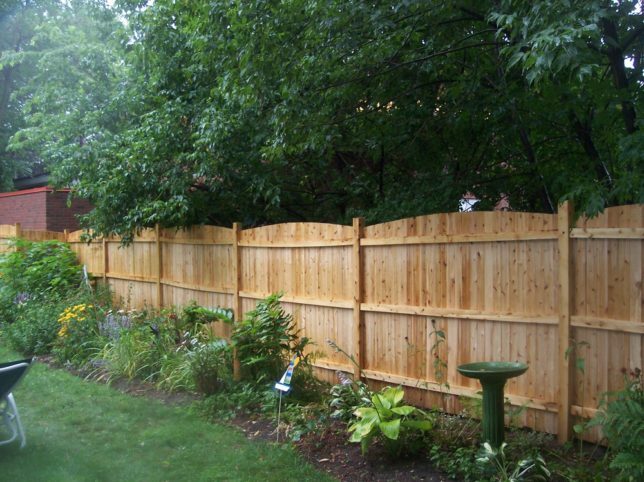 Fences are relatively easy to build, but require periodic (and maybe pricey) maintenance. And they don’t keep my neighbors out! Like many fences, my suburban barrier can be climbed over, dug under, or knocked down. They mostly exist for a smidgen of suburban privacy and to distinguish one person’s property line from another. My fences don’t prevent anyone from visiting us. On a recent Saturday, two Jehovah’s Witnesses arrived on my smallish front porch and we chatted for a few pleasant moments. A day or two later, an irksome fellow from Xfinity camped at my door, hoping to convince me to change to his company. When I mentioned I was fixing dinner, on he rambled. He’ll never get my business. It’s also easy to break into our home. Our fences won’t—and never can—stop us from danger, intentional or unintentional. If another wanted to steal from, harm, or vandalize us, it could be accomplished in seconds. A murder occurred in a house down the street. Home invasions have happened within blocks of us. We have also had “digital” attacks through the web. Scammers have called, threatening to unleash mayhem. One July 4, a neighbor’s errant firecracker landed on our roof. It had already fizzled out, but still . . . I have never met a fence that kept anyone out who wanted to get in. But what would happen if someone “broke through” our meager home defenses, seeking (like the letter-to-the-editor writer asked) to be fed, clothed, housed, and medicated? Would I help someone at my door who was running away from an attacker? Would I help someone who had been injured? I like to think I would. As with the Samaritan in Jesus’ intimidating parable about a fellow comforting his enemy, I hope I would come to the aid of another in need. 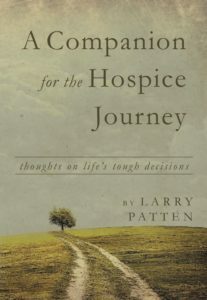 But, as with the Samaritan, my ability to help is limited. The United States’ abilities are also limited, but my country has a far greater capacity to support others (or to attack them), than any single citizen. Should my nation, founded by immigrants and rooted in “life, liberty, and the pursuit of happiness” try to help those who are hurt, fearful, under attack, in peril, or seeking a better life? I like to think we would be more oriented to welcoming those strangers rather than constructing more real or digital walls that won’t keep them out anyway. Being honest and biased, I’m against any border wall proposed by President Donald Trump. His declarations as a candidate, and his actions since becoming President, have hardened—like concrete—my resistance to his schemes to improve and extend the barriers at the southern border. How you deliver a message matters, especially when you campaign to be, and then become, the leader of a diverse nation of hundreds of millions of people. Candidate Trump loudly and frequently claimed he would build a border wall and that Mexico would pay for it. Apparently, we were not supposed to take him literally: har-har-har, just kidding about Mexico!! Instead, we should take him seriously: one way or another, President Trump would strengthen the borders and overhaul immigration policies. For me, and likely for millions of fellow citizens, his repetitious promises to have Mexico pay undermined his credibility, little different than rust corroding iron. While his goals seemingly changed after taking office—let Americans foot the bill—his contentious language has remained. When I mentioned promises in the prior paragraph, candidate Trump’s and President’s Trump’s usual verbiage is closer to threats and fears. A caravan is attacking us! Beware the invaders! Illegal immigrants kill innocent citizens! Terrorists, bent on destroying America, cross our porous borders! Unless and until President Trump can present a more hopeful message, he will continue to appeal solely to his base. A friend with different political views than mine posted the video below by Carson Jorgensen on his Facebook page. While I don’t agree with much of what Mr. Jorgensen says, I respect how he said it. I could imagine a conversation with Mr. Jorgensen that might lead to mutual understanding and possible compromises. With our President, his anger exhausts and alienates me. While his tactics of dread and doom resonate for some, how can they lead to a healthy dialog among the many voices of our country? How have our public and clandestine policies (championed by Democrats and Republicans) added to the horrific problems in the countries where immigrants want to escape? When claiming to need better ways to keep the terrible drugs and the nasty drug cartels out, why are so many of my fellow citizens consumers of those drugs? Do you really believe that reducing the number of undocumented immigrants (those “bad hombres”) from entering the United States will dramatically reduce the violent crimes so rampant in our society? If you’ve legally immigrated to the United States (following the rules), and are angry that some enter illegally, do you think everyone is like you? Is it possible those with few resources and in precarious circumstances have little choice other than an “illegal” entry? As a Christian during Lent—a spiritual season for breaking barriers between God and myself, for confessing my weaknesses, for preparing myself for the life-affirming, life-astounding gifts of Easter—I see any literal wall (that a nation would construct) or metaphoric wall (whatever separates neighbor from neighbor) as a stumbling block to creating Jesus’ Realm of Love. I understand why nations build walls. They always have; they always will. However, I also suspect all barriers will fail more than they succeed. Clever, wicked, or desperate people inevitably find ways to break out or break in. In my version of following Jesus, which doesn’t match well with those who link American exceptionalism or an America-first mentality with their Christian path, I try—though often fail—to be oriented toward serving the stranger and the neighbor. Bless you if you’ve read this far, but if you think I’m naïve or misinformed or both, you’ve probably already thought of all the snappy arguments you could use against me. If you have, I’ll still try to love you, neighbor. I hope you try to do the same. In this era of Trump, primarily as a person of faith and then as a citizen of a particular country, I have a weary mind and a broken heart. The divisions between people that continue to create walls—from sturdy materials or angry words—seem to be insurmountable. I do hope you used some of this in YOUR letter to the editor in response to the original one, not that it’s going to sway Trump’s supporters, but just to know that you are voicing the opinion of those on the other side of the fence!! I hadn’t sent in my response to the paper. But, inspired by you, I relentlessly deleted some words and submitted my response. Who knows!? Thanks for reading and responding!! Ever since the first mention of a wall, I couldn’t help but think of how USA citizens rejoiced when the Berlin Wall came down. I know people are going to argue that was different. I would say it still separates. I’m not sure about our country anymore. When an athlete just now signed for 93 million, most pastors’ salaries hover above the poverty line and thousands in this country go to bed hungry – yeah, it makes me wonder. So much to wonder about! Thanks for the comments . . .